Ethiopia and Somalia last weekend reiterated calls to the United Nations General Assembly for the lifting of sanctions on neighboring Eritrea. 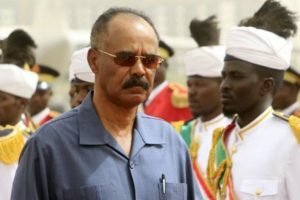 In July, the United Nations chief said he believed the need for UN sanctions against Eritrea will no longer exist following its peace deal with Ethiopia. The Security Council imposed sanctions in 2009 on Eritrea, including an arms embargo, for its destabilizing role in neighboring countries. Eritrean Foreign Minister Osman Saleh last weekend did not mince words about the unjust nature of the sanctions and the adverse effects that it had on Eritrea’s progress and development. He dedicated his entire address to the sanctions with categorical demands for them to be lifted by the Security Council without delay. With positive winds of peace flowing in our region, several UNSC member States are these days calling for the immediate lifting of the deplorable sanctions. The diplomatic discourse is not, however, fully coherent, he stressed. In his words, the people of Eritrea have not committed a crime or transgression, which impels them to seek clemency. As such, they are not only calling for the immediate rescinding of the sanctions but they are also asking, and deserve, amends for the damages incurred and opportunities forfeited, he concluded. As a reminder, Ethiopia and Eritrea have opened a new chapter in their relationship, ending two decades of conflict. Somalia and Eritrea have reconciled their differences and re-established diplomatic relations last month. Posted by Steven Addamah on October 1, 2018. Filed under News. You can follow any responses to this entry through the RSS 2.0. Both comments and pings are currently closed.